In earlier Apprising Ministries articles like Where Are Christ’s Soldiers? and the semi-satirical Recipe For Spiritual Disaster I’ve been trying to bring to your attention how a Rodney King theology of, “Can’t we all just get along” is serving to cripple the witness of the church visible. The Christian church world-around today is in the throes of a deadly spiritual lethargy having been busy constructing The Idol Of Evangelicalism. It’s gotten so bad that now we see Ravi Zacharias” God Inspired Nicky Gumbel In His Work With The Alpha Course. People often ask me, “Why do you insist on prayer so much?” The answer is very simple, because Jesus did… Jesus went on a mount and He was transfigured. There’s nothing more transfiguring than prayer. The Scriptures say that the disciples went to bed, but Jesus went to pray as was His custom. It was His custom to pray. Now Jesus was the Son of God, He was definitely anointed for His ministry. If Jesus needed all that time in prayer, then don’t you and I need time in prayer? If Jesus needed it in every crisis, don’t you and I need it in every crisis?… People say, “I’m filled with the Holy Spirit.” If the coming of the Spirit didn’t revolutionize your prayer life, you’d better check on it. Cause I’m not so sure you got what God wanted you to get… Jesus the anointed of God, made prayer His custom. If the Body of Christ is to be God’s Lighthouse to shine the light of His glorious Gospel into the putrid darkness of the spiritual wasteland. which is our world wallowing in postmodernism, then it is vital for us to understand this truth. The Christian is required by the Lord to make the effort to cultivate his relationship with his God; and frankly, if you don’t have this desire then you do have good reason to doubt whether you are even a Christian in the first place. “Whoever loves father or mother more than me is not worthy of me, and whoever loves son or daughter more than me is not worthy of me. And whoever does not take his cross [daily] and follow me is not worthy of me.” (Matthew 10:37-38). Don’t you know that there are all kinds of atheists, skeptics, and non-Christian cultists who live ethical lives; that really proves nothing. Our word “witness” comes from the Greek word martyr and no one would have lost their lives for Christ if they had kept their mouths shut. To hear most “Christians” today talk you’d think it’s actually our duty to live as comfortably as we can, with the least possible conflict, and then to enter heaven for our “eternal rest.” I ask you; what exactly is it these people will be resting from? Yet even more rest? Or just maybe true Christians are rewarded with eternal bliss as a recompense for our life in this world of constantly striving for Jesus against the warfare of satanic forces. Now just think about most people’s concept of God for a moment. This mystic mush god of love that creates a mankind, who then pays him/her/it virtually no mind lest he/she/it “intrude” into their lives. So, after after enjoying all the creature comforts in this life, they then get to live in an Edenic paradise? Seriously, anyone who believes that really needs to have their spiritual head examined. You see, the Bible tells us to — Fight the good fight of the faith (1 Timothy 6:12). What the genuine Christian Church needs today are men and women of courage and with character to accept our God’s exhortation to — Share in suffering as a good soldier of Christ Jesus. No soldier gets entangled in civilian pursuits, since his aim is to please the one who enlisted him (2 Timothy 2:3-4). Then further — I appeal to you therefore, brothers, by the mercies of God, to present your bodies as a living sacrifice, holy and acceptable to God, which is your spiritual worship. Do not be conformed to this world, but be transformed… (Romans 12:1-2). And finally, we are to contend earnestly for the faith which was once for all delivered to the saints (Jude 3, NKJV). This entry was posted in Opinion/Commentary on December 25, 2012 by Truth2Freedom. 1. Plan to share the Gospel. Do not get so carried away with the parties, preparation, travel, and gifts that you forget to consider the people with whom you’ll be exchanging gifts and partying! How will you share the Gospel with them? Consider them, individually and specifically – how can you discuss the things of Jesus with Uncle Joe or Grandma? Consider good, open-ended questions that you may ask each one – what would provoke their thoughts, insights, beliefs, and understanding of God in Jesus Christ? 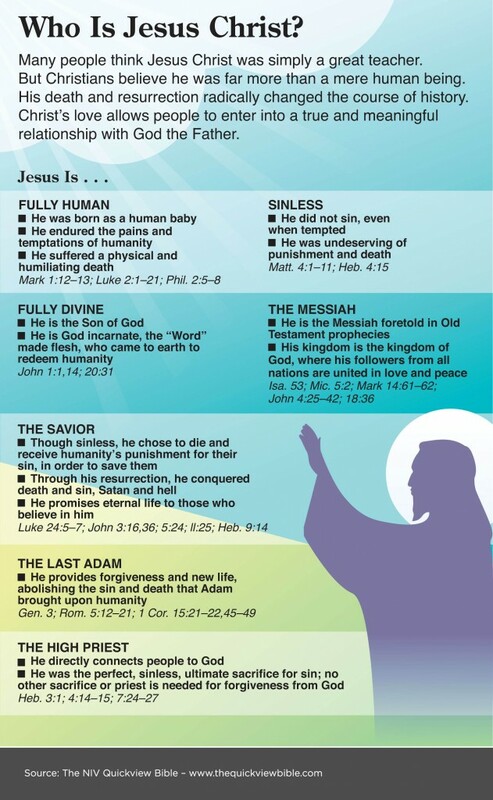 Are there good tracts or simple and clear Christian books that might make good stocking stuffers or party favors? Then pray for opportunities. For some of our friends and family this will be a rare meeting with a real Christian, so take advantage of the opportunity! Oh, and plan for ridicule, mockery, and those awkward moments, but remind yourself that it’s a privilege to be treated in the same way as our Lord. As I look back, it is notable how many Gospel opportunities I have had at Christmas parties and family gatherings. Why not expect and plan for them! 2. Preach the Gospel. Obviously, by “preach” we mean simply commending the truth of the Gospel to others in any fashion. If we’re hosting, of course, we can offer a devotional or pre-meal Bible reading. Remember that the advantage of Christmas is that most of our family and friends will not resist some public meditation on the Gospel. This Christmas we pray that you who believe will ponder anew the “the love of Christ that surpasses knowledge” (Ephesians 3:19). And we also pray that He will give the greatest gift of all to you, our beloved family and friends, who still remain in unbelief – repentance of your sin and believing in the Lord Jesus. We do not have to secure the prayer of repentance before the meal’s over, but we can seek opportunities simply to declare the Gospel. And pray for the Lord to give them the gift of repentance and faith (2 Tim 2:25; Eph 2:8-10). Our sincere Christian prayers can be a testimony in and of themselves. Most people have no idea for what real Christians pray and praise God. Trust me, if you’re adoring our holy and righteous God, confessing our inexcusable sin, giving thanks for the incarnation and substitutionary atonement of the Lord Jesus, and praying for the repentance of sinners before His Kingdom comes, people will not be checking-out or ignoring you! And what a great prompt for conversation topics through the rest of your time with others. I was once asked to pray at a company’s Christmas party in very mixed company. Praying before a hundred or so people with varying beliefs (and unbeliefs) I was scared and as I prayed, people snickered and laughed. But I lived. And over dinner we had some real fruitful conversations over the claims of the Gospel.So seize opportunities to pray and when you pray, be sure to pray. 4. Patiently correct unbelief and error. Scripture calls us to expose evil and correct opposition to the Gospel, but “with gentleness” (2 Tim 2:25). What is important is our self-evident love and patience, but this does not mean that we have to sit in silence while Christ is blasphemed and false ideas of the Lord are bantered about. I’ve always like Mike Huckabee’s approach to political conservatism: “I’m a conservative, but I’m not angry about it.” That’s true for all manner of conserving, even the Gospel kind. So be correct and even correct others, just don’t be angry about it. Correct like someone who’s grateful that you’ve been corrected. We do not need to needlessly stir controversy, but we do need to point people to the truth that He has revealed in Jesus and by His Word. Plan, preach, pray, and be patient! That’s it. Have a Merry Christmas. “If there has been a phrase in the Bible that has been recently tortured until it confesses a lie, it is the phrase, ‘Touch not the Lord’s anointed,'” says Conrad Mbewe, pastor of Kabwata Baptist Church. In his latest blog post, Mbewe examines this oft-abused phrase found in Psalm 105:15. What does Christmas have to do with mourning? Everything. In his latest blog article, “And Them That Mourn – Celebrating Christmas in the Face of Grief,” R. Albert Mohler Jr discusses the vast implications of Christmas for those who mourn. The recent events at Sandy Hook Elementary School serve as a reminder that the world we live in is marred by grief and anguish. This Christmas many will also be reminded of loved ones who were once with us but are no more. In his article Mohler explains how Christians are called to bear witness to one another concerning the unshakable confidence that the gospel provides to those who are grieving. You will not want to miss this timely, sensitive, and pastoral article. You can read it here.